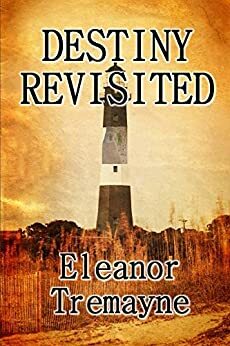 Destiny Revisited by Eleanor Tremayne is the story of the life of Gabriella Girard. The book starts with Gabriella attending the funeral of Jake Chevalier who she had not spoken to for thirty-three years. After the memorial service, she receives a ‘death box’ from Jake’s wife. It is the same box Gabby gave to Jake on New Year’s Eve in 1967, the last time they had seen each other. Gabby’s mind goes back to the first day she met Jake, and the next section of the story takes place in Savannah, Georgia, in the 1960s, during the three years Gabby and Jake spent together as teenagers in love. They had promised to stay together forever and were planning their lives together after high school. But then Jake joins the marines and goes off to war, to fight in Vietnam. And everything changes for them, and Gabby’s life spirals off course. I immediately became involved with the characters, which is why I didn’t like the way Jake treated Gabby after he made the decision, without even talking to her, that they could no longer be together. He claimed he still loved Gabby, but he didn’t contact her to tell her the relationship was over. Instead, he returned home engaged to another woman. Though I understood his motivations, I would have liked to see him handle the situation in another way, since his actions not only affected him, but Gabby, as well, for the rest of her life. Although Gabby had relationships with other men, she never again found the happiness and love she’d known with Jake. I really liked the part where Gabby traveled to Europe after she finally opened the ‘death box.’ This section of the story was so sweet, but also very sad. Especially the part about the proposal. It was a very emotional remembrance of lost love and regret for all the things they had planned to do, which never happened. The story ends abruptly, without showing what exactly happens to Gabby which left me anxious to know what happened after that point. I wanted her to have a happy ending after everything she had gone through in her life. I enjoyed the poems and quotes that were included at the start of each chapter. But there were some grammatical issues that distracted from the flow of the story. Although it became less noticeable as I continued reading and was pulled into the story of the young love Gabby shared with Jake. This book is a fantastic emotional roller-coaster with twists I certainly didn’t see coming. This is a character driven story that delivers intrigue by getting you invested in some dynamic and well developed characters. Travel back in time in this fantastical adventure with Zurga’s Fire, book three in the Orfeo Saga. Murray Lee Eiland Jr weaves his tale that takes place in historical Greece and the rest of the Mediterranean. Broken up into four books filled with short, easy to digest chapters we begin with Daryush, a young man who has been living as a consort for the Empress Zinaida. If you are just coming into this saga, you won’t be able to get a true grasp on what previous volumes have covered. What we learn from Daryush and Zinaida is that theirs is a young love and she has recently acquired her position of power. Due to their differences Daryush decides to leave Babylon in order to preserve his life. We then begin to follow him on his journey while meeting other important characters and breaking off to follow them. It all comes back around and end with Daryush. Eiland is very good at keeping his chapters short and to the point. Instead of long, drawn out chapters that cover far too much information to digest well, this tale has the benefit of being broken into four books and a total of 70 chapters. While that may seem like a lot, the story doesn’t break 300 pages. There is even a historical note for those history buffs who are reading. This is a historical fantasy-adventure tale and Eiland does his best to keep information as true to history while taking certain artistic liberties. This makes the book easy to read without getting bogged down by technicalities. While the information regarding tribes, empires and villages is indeed massive, it is all presented in shortened, easy to read ways. Daryush is not the titular character, although he feels like one. He weaves in and out of the story that the reader can get deluded into thinking it’s all about him. The book is called Zurga’s Fire for a reason and that is made quite apparent in the third book within this volume. 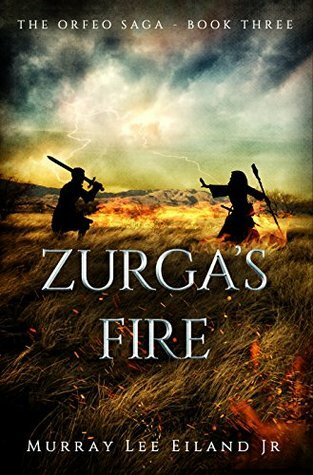 Aside from being a bit in the dark to previous accomplishments in the first two books, Zurga’s Fire stands well on its own. The story feels complete at the end and doesn’t leave too many unanswered questions. The writing is clean with little to no grammatical errors and the chapter formatting is nice on the eyes. The intrigue, romance and mystery that pepper the tale are all tasteful with nothing feeling forced or contrived. This is a spectacular feat to accomplish when you have so many characters with such intricate lives. If you’re looking for a good read that won’t have you feeling overwhelmed then Zurga’s Fire by Murray Lee Eiland Jr is definitely something you should consider. Not too heavy on historical explanations and easy to read with short chapters, this third installment in the Orfeo Saga is pleasant and satisfying.